Deductr was designed to help small and independent business owners maximize their eligible tax deductions and eliminate tax-time stress. 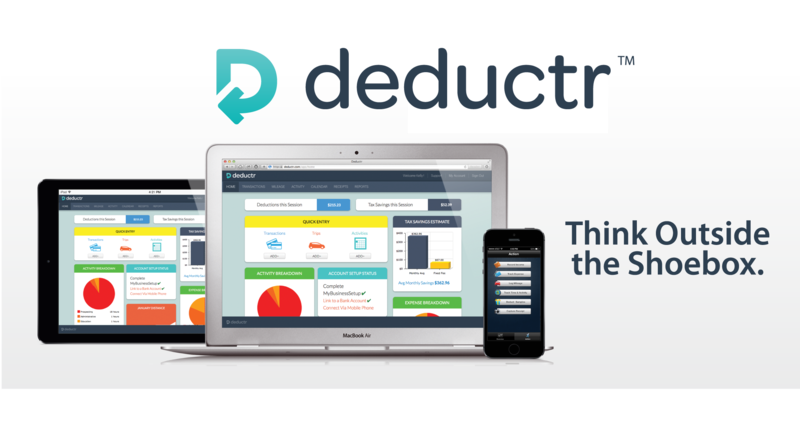 Deductr’s web-based and mobile applications take the guesswork out of the tax equation by automatically tracking your expenses, mileage, and time. So, if you take a client to lunch and pay with your credit card, Deductr will automatically capture most of the information the IRS requires to get credit for that deduction. 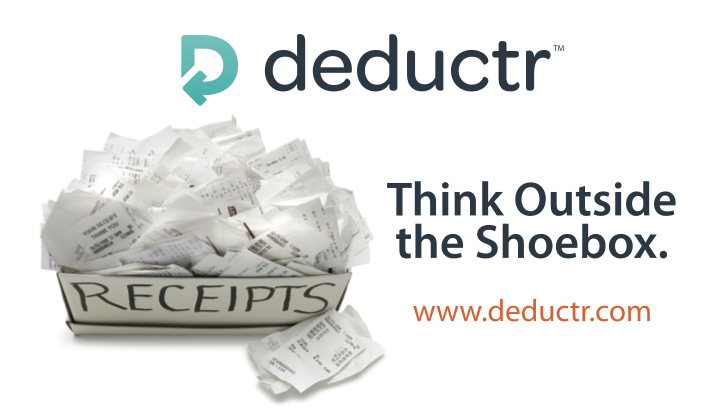 If you pay with cash, don’t add another receipt to that overstuffed shoebox, simply capture a photo of your receipt with Deductr’s mobile app. When you drive to a business appointment, we’ll tap into the GPS functionality in your smartphone to track and give you credit for that mileage segment. Finally, when tax time rolls around, Deductr will provide single-click access to everything you need to be better prepared to meet with your tax professional. Start thinking outside the shoebox and let Deductr do the heavy lifting to help ensure that you take full advantage of all your eligible tax deductions and keep more of the money you work so hard to make.